Take a break from the sun and retreat to relaxation. 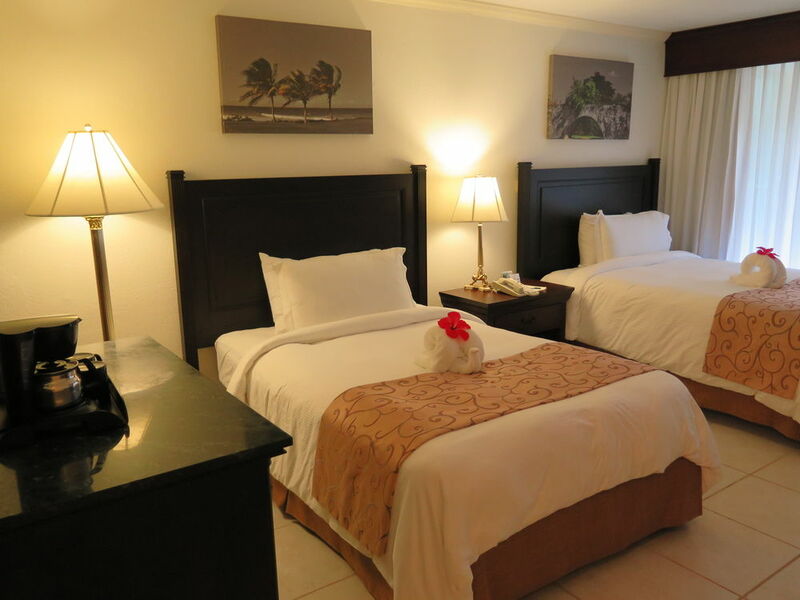 Richly decorated with tropical accents that call to mind the sun-kissed beaches of Jamaica, our guest rooms and suites are the perfect places to spend a romantic evening, gaze out upon the turquoise waters, watch a movie with the kids, or simply rest after an adventure-filled day. 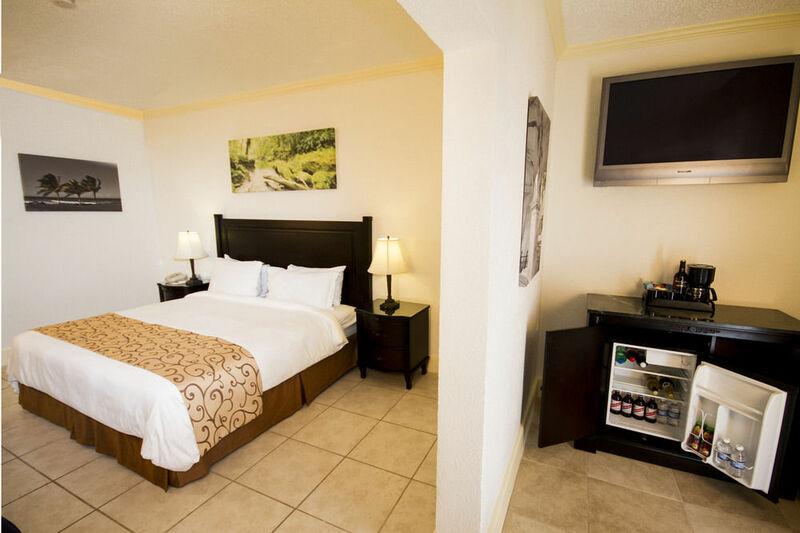 Find plenty of space to spread out while enjoying our thoughtful amenities designed with your needs in mind. 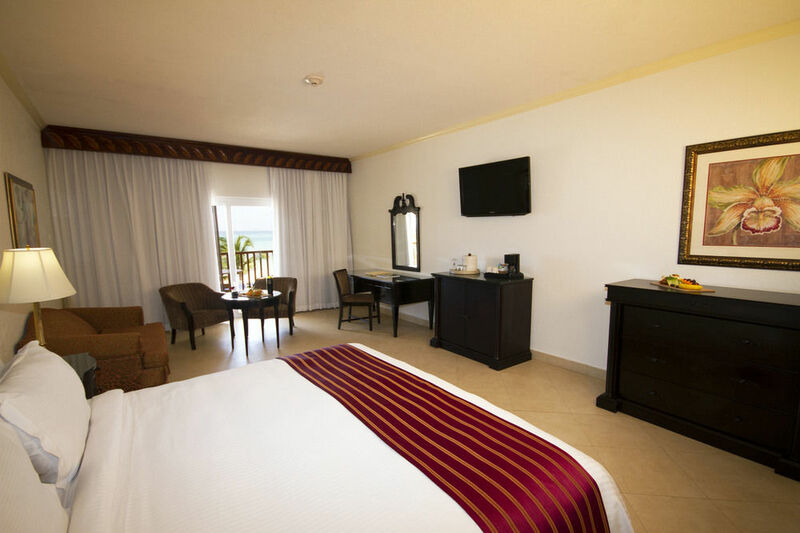 Rest easy in comfortably sized rooms with limited views. 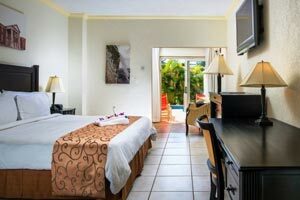 Featuring either one king or two double beds, these accommodations are great for couples and small groups exploring Jamaica. Many of these rooms can be connected. 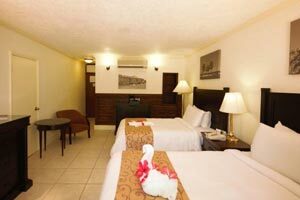 Accommodates up to 4 guests with a maximum of 3 adults. 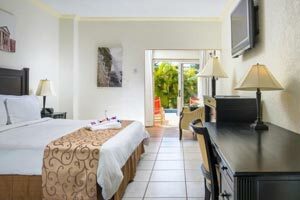 Enjoy partial views of the pools and/or ocean. These spaces feature one king or two double beds and a small seating area. Many of these rooms can be connected. . 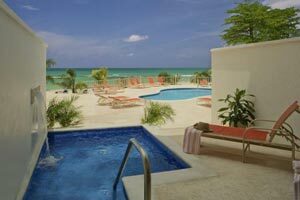 Enjoy Jamaica’s turquoise waters from large suites boasting king-size beds, hand-carved furniture and classical tropical textiles. The L-Shaped structure cradles a quiet pool and broad pool deck. 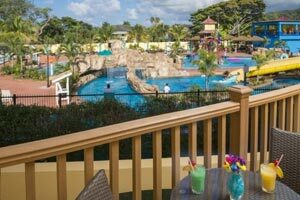 Concierge is available from 7 a.m. to 10 p.m. to assist in special seating for dinners, shopping advice and how to see the best of Jamaica during your stay. Special turn-down service is available nightly. Soak up sweeping pool and ocean views from an expansive suite. An oversized king bed guest room connects to a salon to form the suite. The mini-bar is stocked and replenished with water, beer, wine and premium liquor with mixers. Amenities and services include 24-hour room service and plush his-and-her robes with slippers. A personal butler is available for in-suite check-in, unpacking and pressing, turndown service, arrange for Radiant Spa treatments and room service. 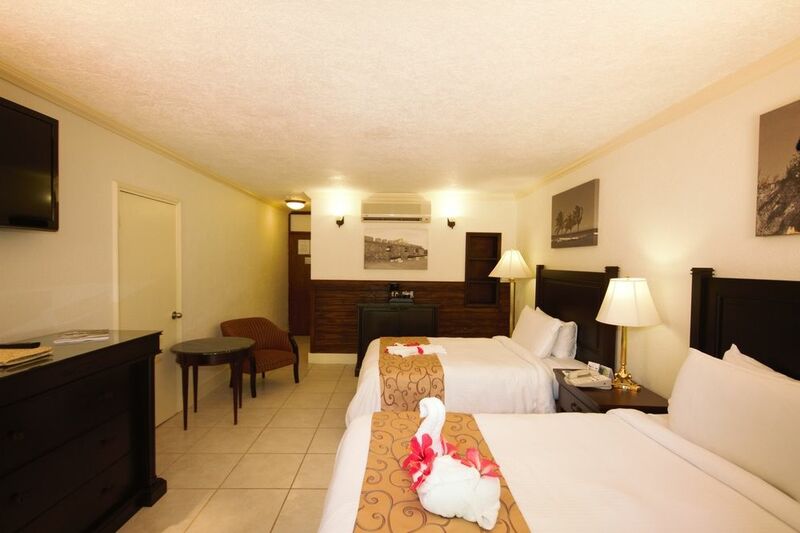 Situated in the Topaz and Ruby buildings, these generously sized rooms face the manicured lawns and courtyards and feature spacious bathrooms, separate seating areas, and one king or two double beds. 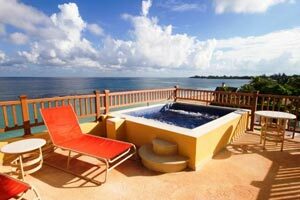 The patio of these rooms is extended to house a Personal Plunge Pool and lounge chairs. Concierge is available from 7 a.m. to 10 p.m. to assist in special seating for dinners, shopping advice and how to see the best of Jamaica during your stay. Special turn-down service is available nightly. Indulge in over-the-top pampering plus dramatic direct ocean vistas, a very large balcony and your very own plunge pool and butler. The salon has a seating area and a mini-bar stocked and replenished with water, beer, wine and premium liquor with mixers. Amenities and services include 24-hour room service and plush his-and-her robes with slippers. A personal butler is available for in-suite check-in, unpacking and pressing, turndown service, arrange for Radiant Spa treatments and room service. 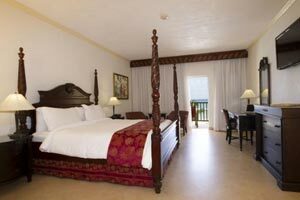 Our 475-sq-foot ocean front Junior Suites boast King-sized beds, hand-carved Jamaican furniture and classic tropical textiles. Located on the 2nd and 3rd floors of the Turquoise oceanfront building; the L-Shaped structure cradles a quiet pool and broad pool deck. Marble tiled showers contain multiple body jets as well as a fixed shower head. 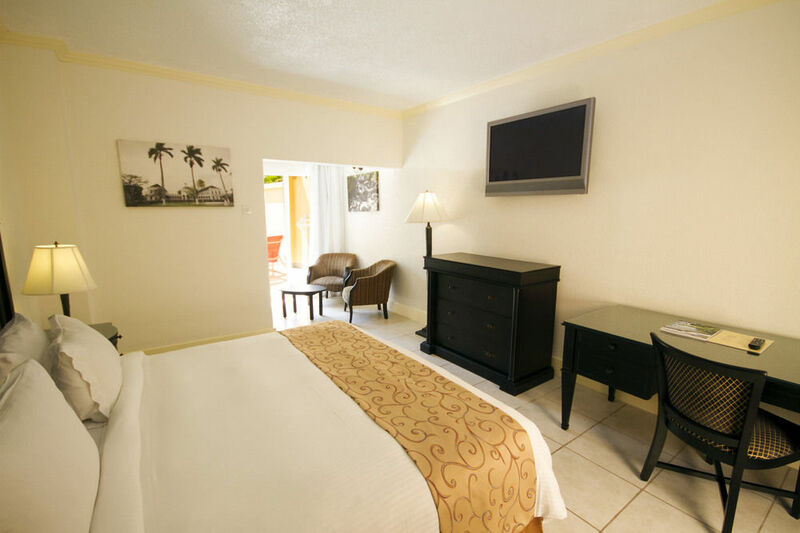 Concierge is available 7A-10P to assist in special seating for dinners, shopping advice and how to see the best of Jamaica during your stay. Special turndown service nightly.